The Willows Nest is beyond thrilled to welcome uber-talented Canadian flute looping wizard ROZALIND MACPHAIL to perform for the first time in Berlin on August 30th! Rozalind will be sharing her very special audio-visual creations for flute loops, voice, electronics and silent film. MacPhail creates expressive live soundtracks to the films using Ableton Live, weaving unique and beautiful transmedia events. She will be performing selections from her award-winning projects, FROM THE RIVER TO THE OCEAN and HEAD FIRST. Doors open at 19:00, Music from 20:00. Come early to grab a drink and some appetizers provided by the space. Grab a reservation by sending your name below and pay only 10 € – tickets at the door (without reservation) are 15 €. Innovative Gemeinhardt Musical Instruments Artist/Clinician, Rozalind MacPhail recently took home an East Coast Music Award for Electronic Recording of the Year and MusicNL’s Female Artist of the Year. 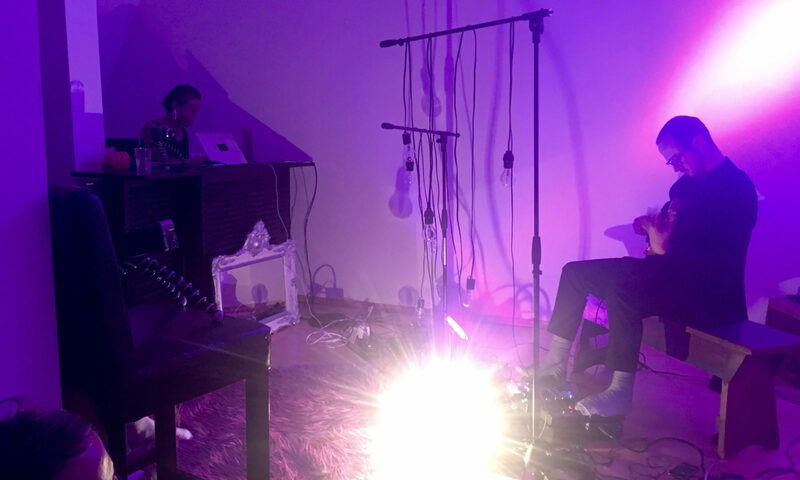 One of the world’s leaders in flute looping and live film scoring, this classically-trained Canadian flutist blends effected flute, electronics, voice, omnichord, field recordings and silent film through Ableton Live. MacPhail creates music for film and live performance and has released several albums of original work. She explores new ways to combine image and sound, in works that speak honestly of place, person and the human experience.